This month, we want to highlight Jeremy Cross, president of International Recovery Systems. Jeremy joined ARA this past February 2019 and currently lives in Kennett Square, Pennsylvania. 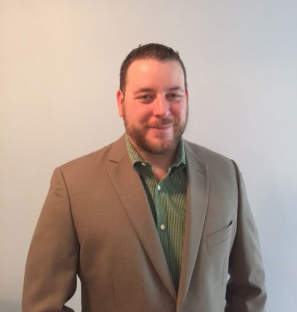 Jeremy spends a lot of his time in the office continuing to grow his business, which provides a full range of repossession and remarketing-related services in Pennsylvania, New Jersey, and Delaware. Their suite of services and outstanding attention to detail ensure that all clients will be handled in the most professional manner possible. Under Jeremy’s leadership, International Recovery Systems is projected to meet their 2019 goals and is on track to exceed their goals for the future. Outside of the office, Jeremy enjoys spending time with his family. From football and lacrosse games to Girl Scout meetings, Jeremy stays busy being involved in his kid’s activities and spending time with his wife, who also stays busy by working as a nurse manager for a Veteran’s Hospital. Even with a new home being built, Jeremy stays well balanced and on top of it all. We appreciate Jeremy for being active in ARA, before and after joining and look forward to hearing more good news from him in his life and business.